The story follows Cobb (Leonardo DiCaprio), a unique information broker who specializes in the art of “extraction,” which entails entering a person’s dream and stealing information directly from their mind. Cobb’s ability is set against a terrible truth locked away in his own subconscious (no spoiler here). He is commissioned by Saito (Ken Watanabe), a rich Japanese business owner who wants Cobb to plant an idea inside his dying business rival’s son’s mind (the inception to which the title refers) that will lead to the break up of his empire. The stakes are high, as well as the risks. In order to accomplish this, Cobb must reach the deepest level of his target’s mind; to do this, he must assemble a “dream team” of highly skilled extraction agents who deal specifically in corporate espionage. To achieve inception, his team must take his victim into the deepest reaches of his own mind via a dream within a dream (and then another). This disorienting state makes it difficult for the subject to even realize what is real and what is the dream. The deeper they go inside the subject’s mind, the more dangerous, and actions taken in the dream have dire consequences in the real world. For Cobb, this is the last job he has to do before he can return to his home; but where is home, exactly? He is tempted to “make” a home in his dream world, but it is there where he must face his greatest fears and his true enemy. Only Ariadne (Ellen Page), a skilled dream maze designer and his protege, knows the truth, and she joins him as he confronts his demons in the deepest reaches of his own mind. The film has a complexity to it not seen in sci-fi since The Matrix (1999). The complexity adds layers and excites many intellectual viewers, but it is also the basis for its hardest critics claiming it to be incomprehensible and trying too hard to fool the audience. However, for an action/sci-fi thriller, these are compliments. Not long before Star Wars (1977), sci-fi was considered a “B” movie genre, and it is rare to see a film in either action or sci-fi that isn’t full of camp and overladen with CGI. Granted, Inception is not short on unrealistic violence and none of the themes in the film are totally original – “What is real?” having been previously explored in The Matrix, for example. Dream fighting is nothing new either, i.e. A Nightmare on Elm Street 3: Dream Warriors (1987). What is new is Nolan’s vision and his skills in writing, directing, and producing to take on these themes. After the enormous success of The Dark Knight (2008), Nolan earned himself a chance to make a film the way he wanted, and getting his way gave us a film that could supplement his cinematic immortality. This film functions on a high level in every area, particularly acting. DiCaprio and Page give solid “A” performances, and the rest of the casting is also superb, even finding spots for film veterans like Michael Caine as Miles and Tom Berenger as Browning. The camera work and special effects are sure to be Oscar contenders next year, and the score by Hans Zimmer (Batman Begins, The Dark Knight) is amazing. The tension and compounding conflict in the film is so good it’s Hitchcockian and is interwoven seamlessly with action reminiscent of The Matrix and the Bourne series. 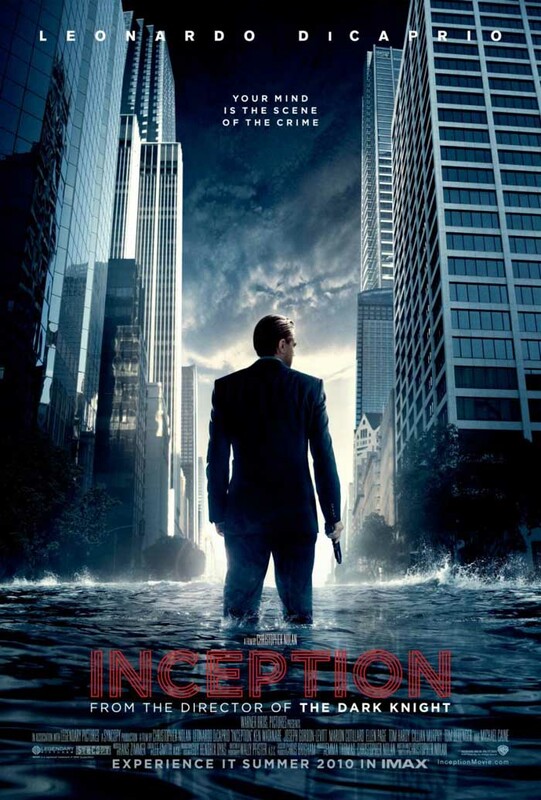 The set-up of Inception has the viewer cheering for Cobb and his team to pull off his heist of an innocent man’s free will, which begs the question of not only will this work, but is this just? Why do we want Cobb to complete his mission? The conflict that comes from the ethics of what Cobb and his team are doing is a great example of the perplexity of this film. It is riddled and torn with perplexity, and that’s what makes it such a hard film to “get.” But you have to see it for yourself and try your best to “get” this film, or you just might miss the beginning of a great cinematic phenomenon. Just saw the film tonight and I have to say I agree with you completely. It’s films like “Inception” that remind me why I want to make films! What a great breath of fresh air after the last decade of let-downs and comic book remakes. 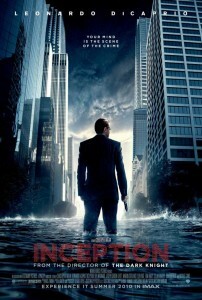 “Inception” is easily the best film of 2010 if not the last decade. Can’t wait to see what Nolan makes for the world next.